This item is currently out of stock. We expect to be able to supply it to you within 2 - 6 weeks from when you place your order. 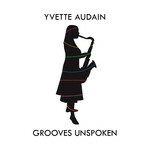 Yvette Audain is a prolific, versatile musician, composer and arranger based in Auckland. Her instruments are clarinet, saxophone, recorder and Irish whistle. Yvette performs in a variety of genres: classical (Auckland Philharmonia; Auckland Chamber Orchestra; New Zealand Opera), jazz (Brett's New Internationals; APOPS ensemble the Jam Donuts), military band (the full-time Royal New Zealand Navy Band), Celtic-style originals (trio 'Doris'), gypsy (the Benka Boradovsky Bordello Band), free improvisation (Vitamin S), salsa (Cuban Accent Band). Grooves Unspoken is a live album of original music, mixed and mastered by Radio New Zealand's Tim Dodd and featuring Hong Yul Yang (piano), Katherine Hebley (cello), and Donald Nicholls, Zyia-Li Teh, Damon Key, Nicola Haddock, Andrew Uren (saxophones). Anthony Young also features as a conductor.